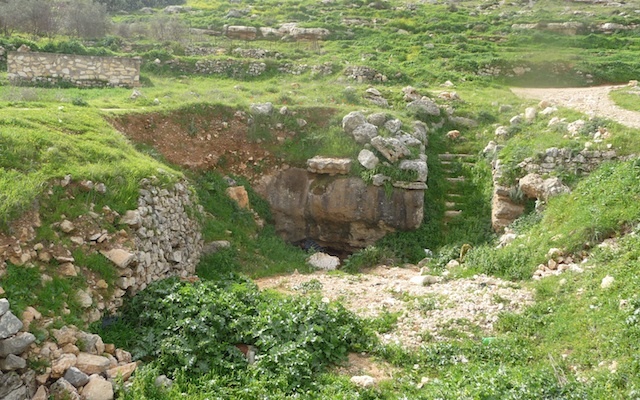 Ein Fatima is a natural spring that lies at one end of the Wadi Natuf. In the 1920s the archaeologist Dorothy Garrod excavated the Shuqba cave in this valley, finding evidence of a Mesolithic culture that existed here between about 12,500 B.C.E. and 9,500 B.C.E. Among the finds were the bones of a domesticated dog. Garrod named the culture 'Natufian’ after this valley, and Natufian sites have since been found throughout the Eastern Mediterranean.